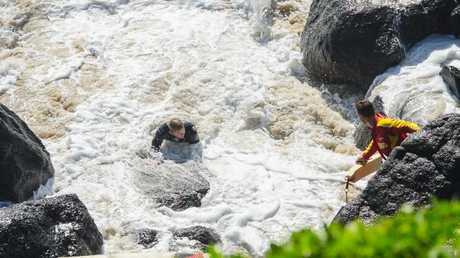 RESCUERS thought this man had drowned after he got caught in rough surf and rocks at Duranbah Beach at the weekend. 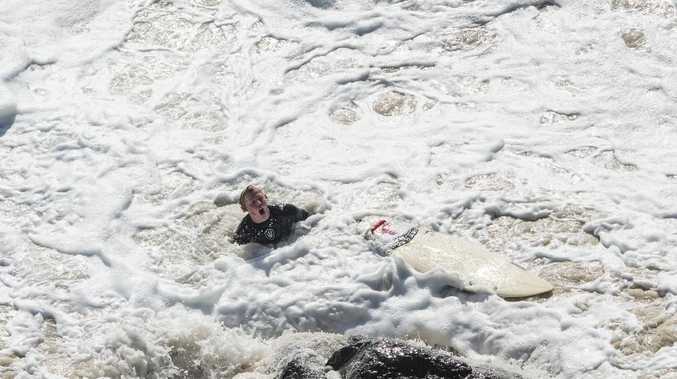 Images from photographer Peter Sturm show the surfer struggling in thick white wash near dangerous rocks and sand pumping pipes. Onlookers feared the worst for five minutes about 8.30am on Saturday when the man disappeared, only to reappear "on the other side of the sand pump". 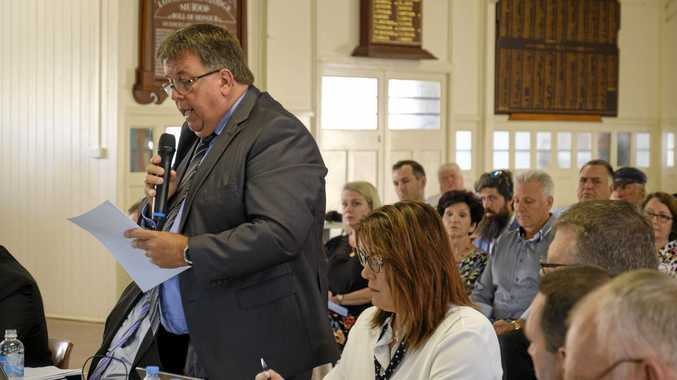 "Surf Lifesavers were able to get one of the surfers on a jet ski, but the other one couldn't get out past the break," Mr Sturm said. "He didn't have anything left in the tank. "People were yelling to him to take his leg rope off, but he didn't and his board kept dragging him down. "At one point he went under and for a good five minutes no one saw his board, or him. 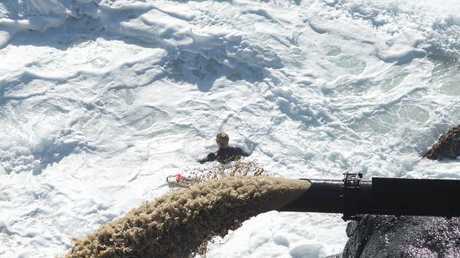 "We thought he was dead, but he had come up on the other side of the sand pump. He is one lucky young man." Mr Sturm said lifesavers struggled to get the surfer to shore. "You could see them holding out the buoyancy belt to him. He would get within millimetres of grabbing it and get pulled under again. "It was touch and go - the lifesavers did a great job." 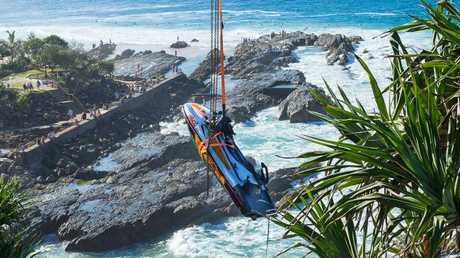 The surfer, aged in his mid 20s, was taken to hospital and later released with minor injuries. Gold Coast Surf Lifesaving co-ordinator Nathan Fyfe said his teams were preparing for another big weekend. "We were called in to help NSW lifesavers on the weekend and we are expecting the same with big swells forecast this weekend," he said. "The conditions will be for the experienced only. We ask surfers to exercise a little more caution and stay away from the rocks."